Frozen Desserts | All American Foods, Inc.
Label Information – Pro Mix® ingredients allow wholesome dairy ingredients such as milk, buttermilk, cream, and whey to remain a reassuring presence on food labels. Flavor – Pro Mix® ingredients enhance the rich dairy flavors that are the basis of consumer perception of frozen dessert quality. 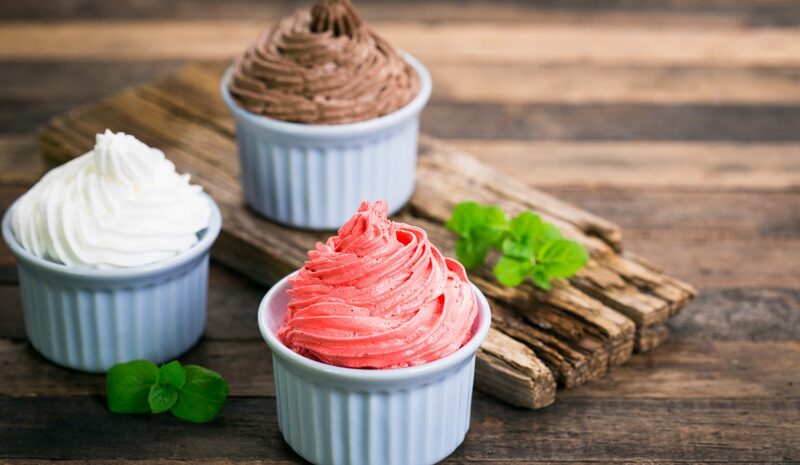 Food Standards – Pro Mix® ingredients provide products that meet the standards of identity for ingredient use in ice cream manufacturing as well as offering innovative Pro Mix® ingredients intended for frozen dessert applications. Consistency – Pro Mix® ingredients provide a reliable ingredient base that eliminates the functional and cost variability observed when formulating with fluid dairy ingredients. Pro Mix® ingredients can supply the butterfat as well as the dairy proteins that are essential to frozen dessert manufacturing. Emulsification – Pro Mix® ingredients work well with frozen dessert mixes formulated with butterfat or with cream ingredients. Liquid mixes intended for refrigerated distribution and mixes for subsequent spray drying can benefit from the inclusion of Pro Mix® ingredients. Overrun – Pro Mix® ingredients provide frozen dessert mixes with high overrun tolerances by selecting dairy proteins that allow controlled release of the emulsified fat during the freezing and whipping process. Shelf Stability – Pro Mix® ingredients improve storage of frozen desserts by preventing shrinkage and by inhibiting lactose crystallization. Pro Mix® ingredients are manufactured to provide the protein content that promotes a stable foam structure that resists shrinkage during frozen dessert storage. The lactose content in Pro Mix® ingredients are adjusted to prevent sandiness from lactose crystallization during frozen dessert storage.